Ahh, that point in training when running simply takes over your life. 10 miles on a Wednesday? I can only make myself get up super early for runs when we are in the midst of a heat wave, so a disproportionate amount of my day-light hours this week seemed to be taken up by running. I did the ClassPass Go ‘Good Morning Flow’ yoga class this morning in place of my usual morning stretching. It was fine. Still not entirely sold on the all-audio workouts. I’m gonna try something new with my strength work this week. Instead of 1 or 2 full body strength workouts (that I usually don’t get around to), I’m going to try doing 3 shorter strength workouts – one focused on upper body, one focused on the lower body, and one focused on core. Today I did a 10(ish) minute upper body strength workout with a resistance band. A few basic moves for biceps, triceps, and shoulders. Nothing earth-shattering, but most importantly, it’s done. Here's to the uneventful, no struggle to get out the door, feeling like you know what you are doing kinda runs! 🍻 Its so easy to take them for granted. My marathon funk has finally burnt off. I did my usual 4-mile loop this morning, and it was pretty unremarkable (which is a good thing). I’m just out there doing my thing. Some days that’s all I need. Part two of my strength training experiment this afternoon – I did the Nike Training Club ‘Core Strength’ workout. This is one of my favorite NTC videos – pilates based core work. I feel like I haven’t been on a trail in forever, so I headed over to Lake Chabot this morning. I’ve done many races at Lake Chabot both as a runner and a volunteer (most frequently, Bad Bass and Brazen’s New Year Day Half Marathons), but it didn’t occur to me until I started running, for as many times as I’ve run here, I’ve never run the lake on my own. It’s always been as part of a race. I decided to the loop of the lake, which I loved. I’d done bits of this loop at various races, but most of it was new to me. I was shocked at how popular this lake is. Not only with hikers (largely groups of senior citizens), but also with fishermen. Considering there is signage everywhere warning of toxic algae in the lake and warning that people and animals should avoid contact with the water (going so far as to say if you come into contact with the lake water, you should rinse down with tap water). If the water is that bad, I wouldn’t want to deal with it, even if only to do catch and release fishing. ‘The usual’ this morning – a local 4-mile loop. I’ve been running this loop regularly on both Tuesday and Thursday. For some reason, during my run today, I was 100% sure it was Tuesday. I was thinking about how I was going to arrange my day, when I should head over to my volunteer gig taking care of kittens (which I do on Tuesday). Today I again broke out my resistance bands to do some leg strength work. #fbf Can you spot the runner? #whereswaldo Those hills are bigger than they appear! Taken at @insidetrail Golden State 35k. Only morning stretching and a walk at lunch. I like my longest long runs to be what i call Goldilocks runs- not too terrible, not too amazing. Terrible runs are (obviously) terrible, but great runs can make me overconfident and can result in slacking off in the last few weeks of training. Today would qualify as a prime example of a Goldilocks run. Ill take it. I decided to head back over to the Briones to Mt. Diablo Trail for my long run. It’s a good combination of flatter paved trails and hilly dirt trails, a good combo for long runs. 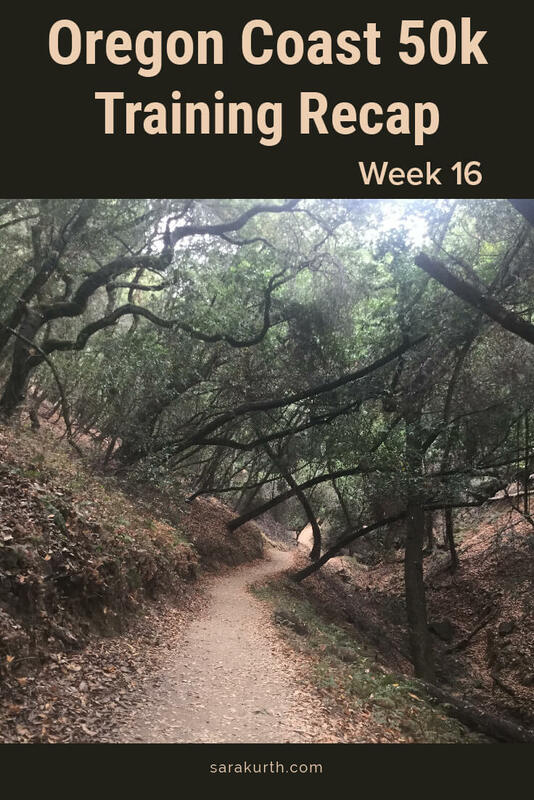 I’ve often done this trail for 20 mile long runs, and I decided to add in the few extra miles by doing an additional loop through Diablo Foothills and Castle Rock Regional Parks. It was a fun little loop, but it also added in another 1000(ish) feet of climbing. I felt pretty good on this run, but I was walking a lot on the uphills. The temperature was getting warm near the end, and the little sunscreen container that I carry for mid-run reapplication ran dry in the last bit of the run. Luckily, I must have re-applied enough in the previous hours, so I prevented sunburn. Ended up doing ‘only’ 23 miles instead of 24. I’m OK with that. Spent some serious time with my foam roller in the PM. Felt so good. As my Saturday mileage creeps up, Sunday is quickly becoming my least favorite day. I’ve physically felt fine for these second-half of the back-to-back long run outings, but man, they are hard to get out the door for. This morning I was a touch sore from yesterday’s 23 miles, but nothing too terrible, and my bed felt so nice and cozy. I wanted nothing more than to stay in bed and sleep for an extra hour or two. Too responsible for my own good. After slacking off last week on my goals, I came back strong. Hitting 100% on the goals. Yeah! I need to re-stock my freezer. After eating super-healthy for a few months (or what passes as super healthy in my life anyway), my habits have slipped a little, and I can tie that back directly to not having a freezer stocked with healthy staples. Mindset. Next week is another race week as I return to Drag-N-Fly.